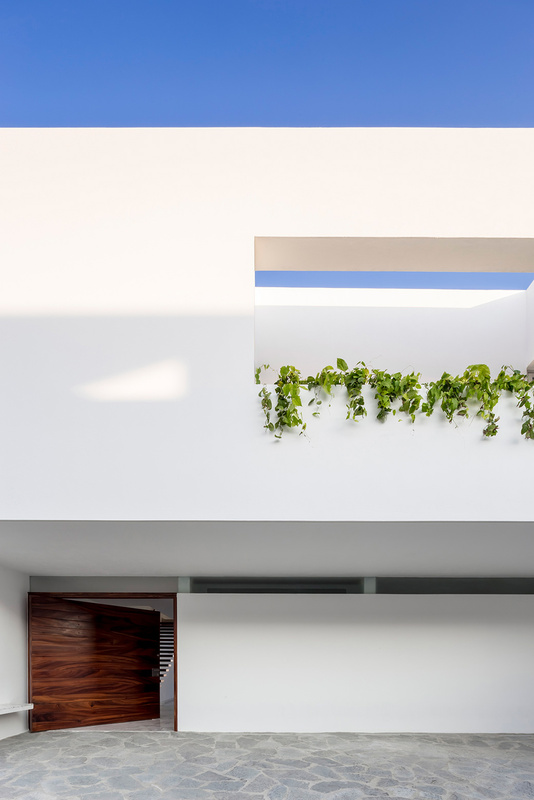 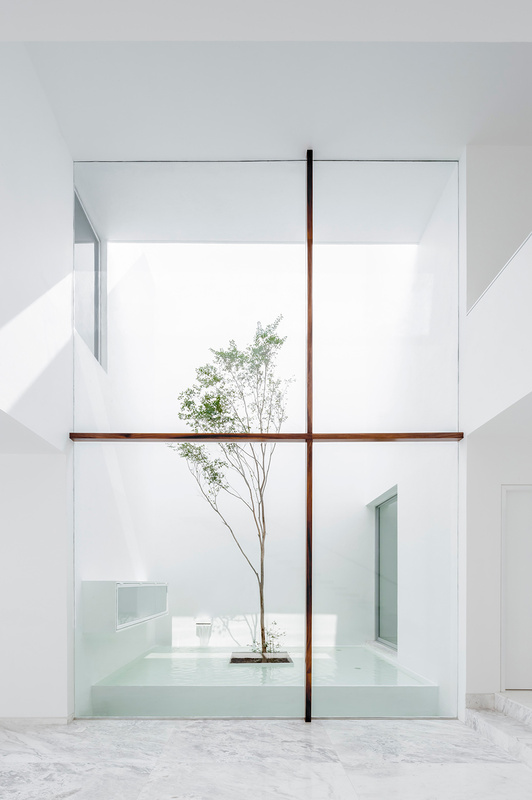 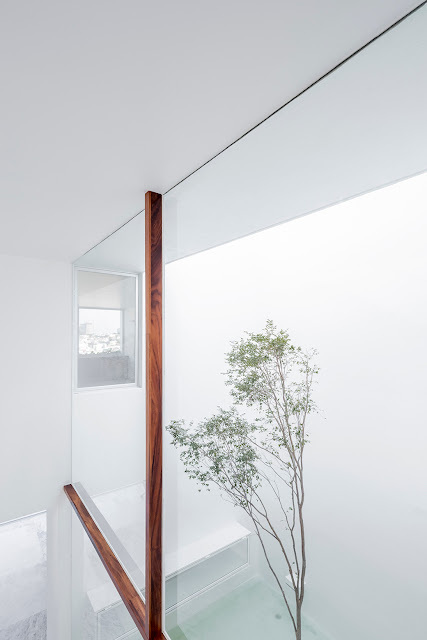 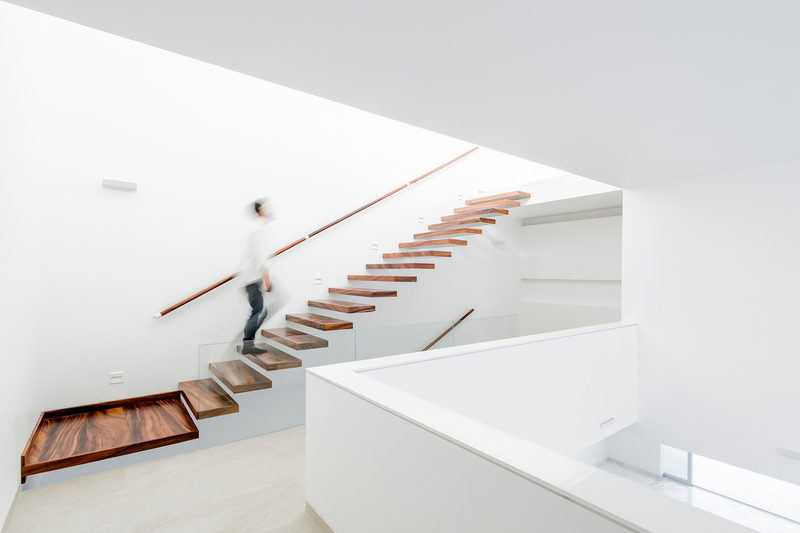 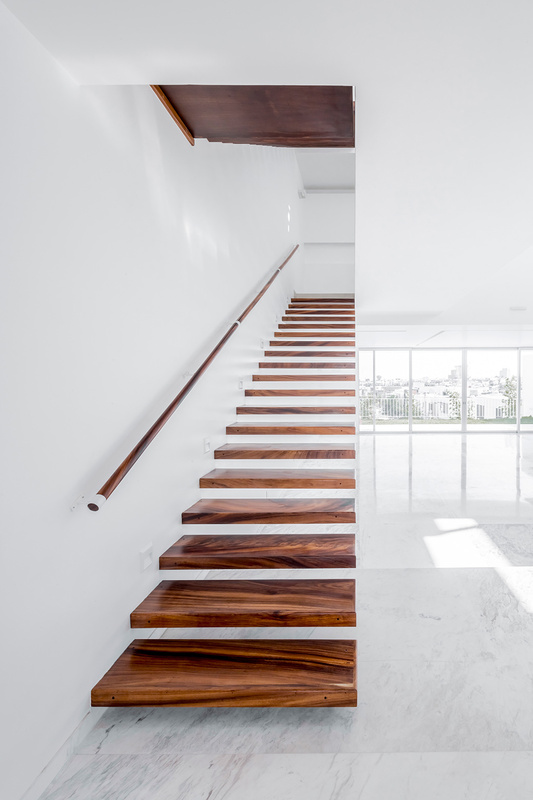 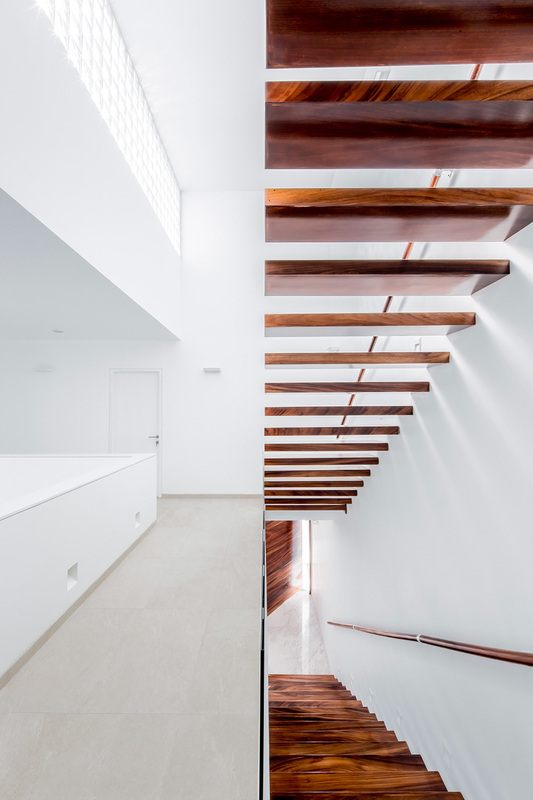 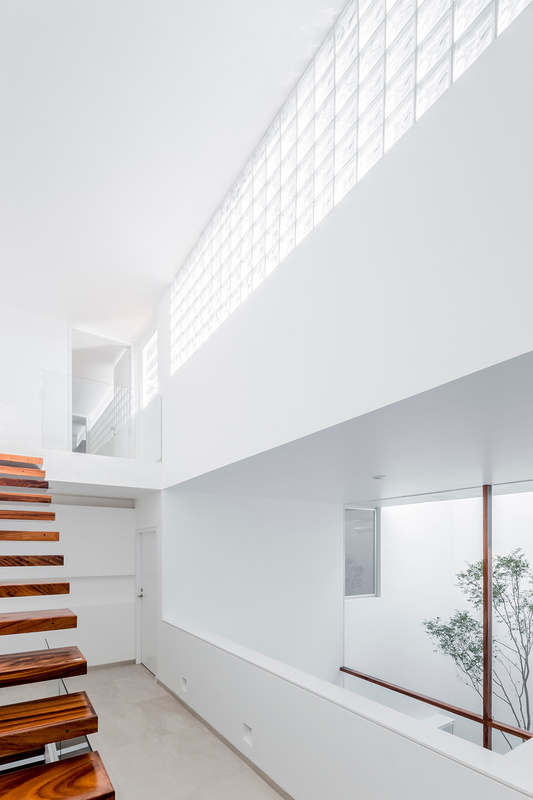 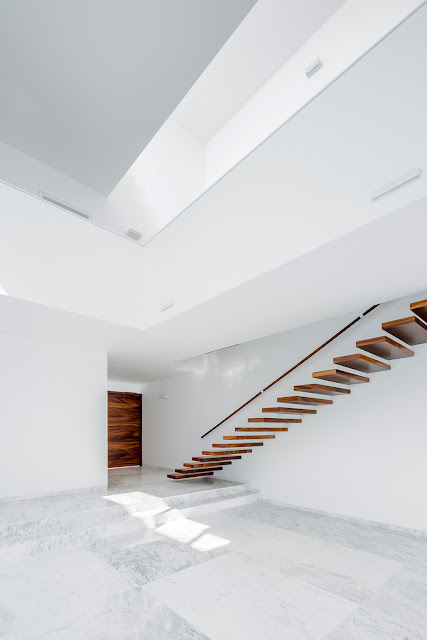 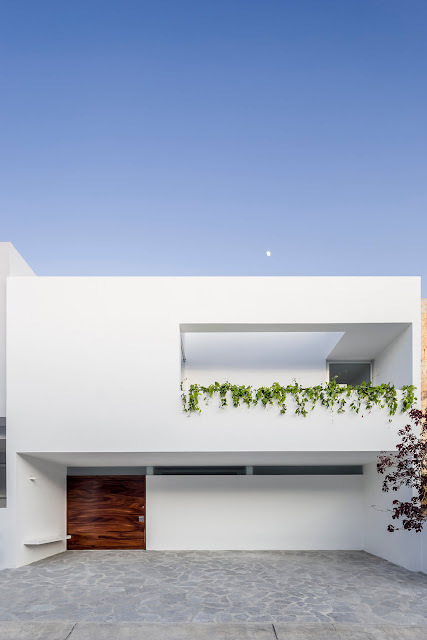 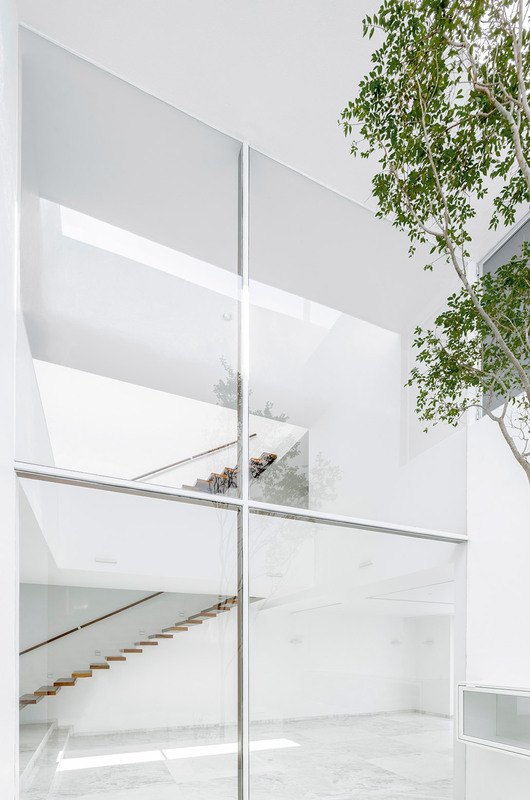 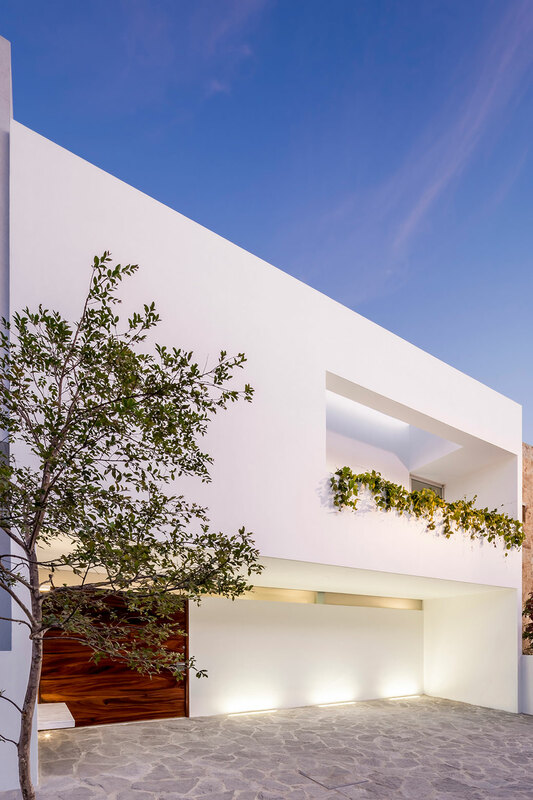 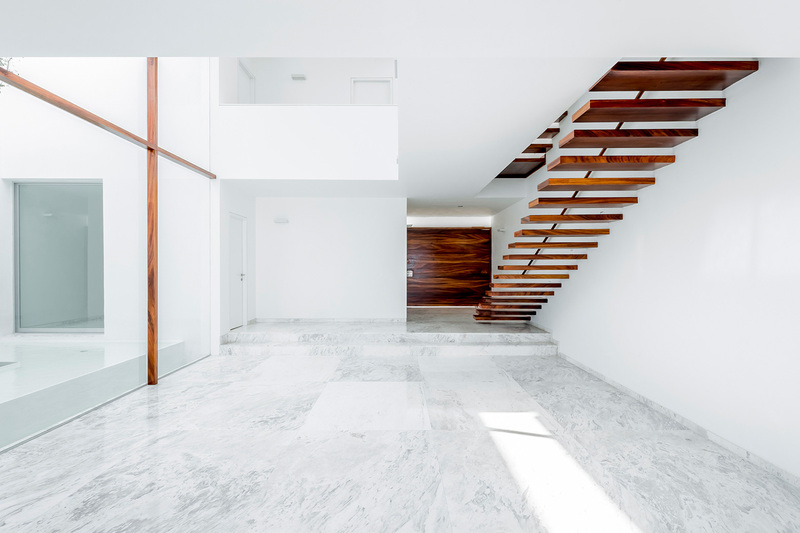 Mexican architect Abraham Cota Paredes designed minimalist V house in Guadalajara, México, featuring an internal patio, filled with “water, a tree and light”. 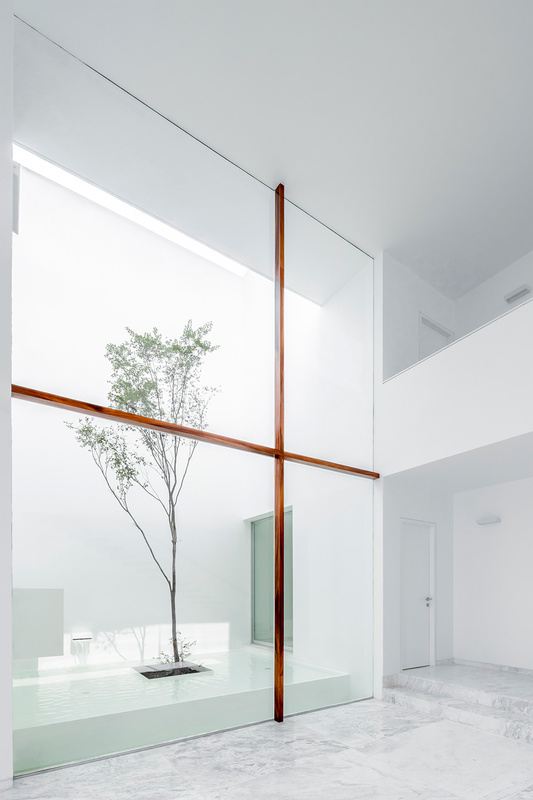 A wooden cross window frame, reminiscent of Luis Barragán, floats in space, framing this private space that becomes the heart of the house. 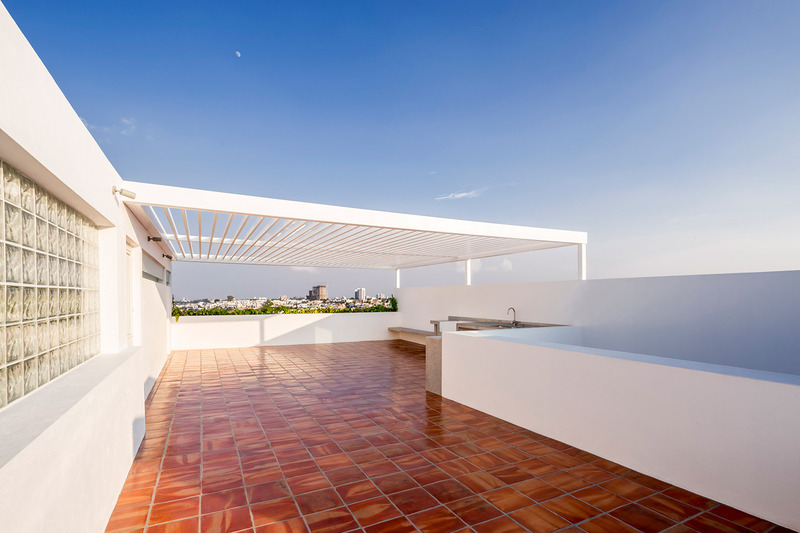 “The land is located in the limit of a closed condominium, with a height difference of 8 meters at the back, which allows us to release the views to the east of the metropolitan area of ​​Guadalajara. 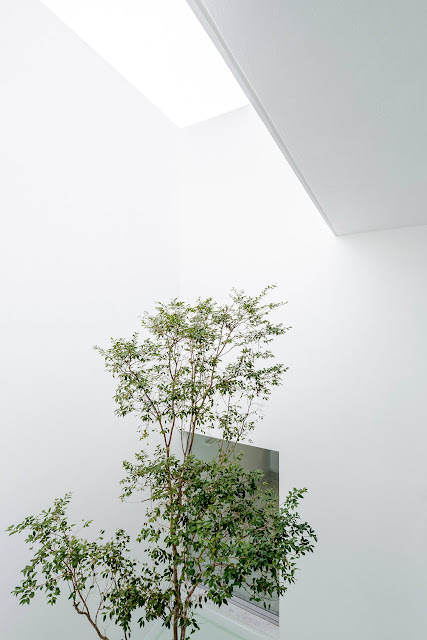 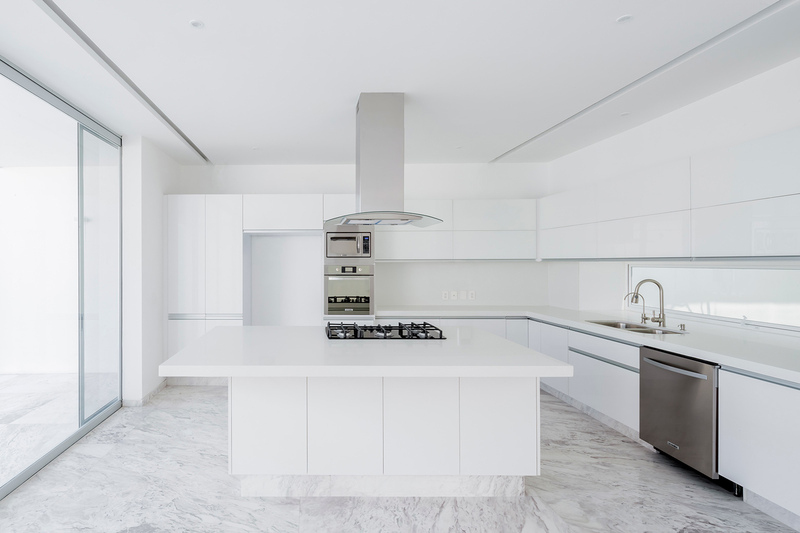 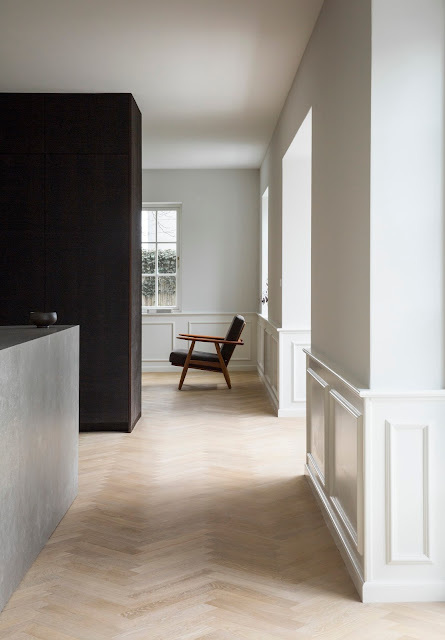 To take advantage of the location, the plant plays a staggered, making the space to expand, as the visitor walks deeper into the house. 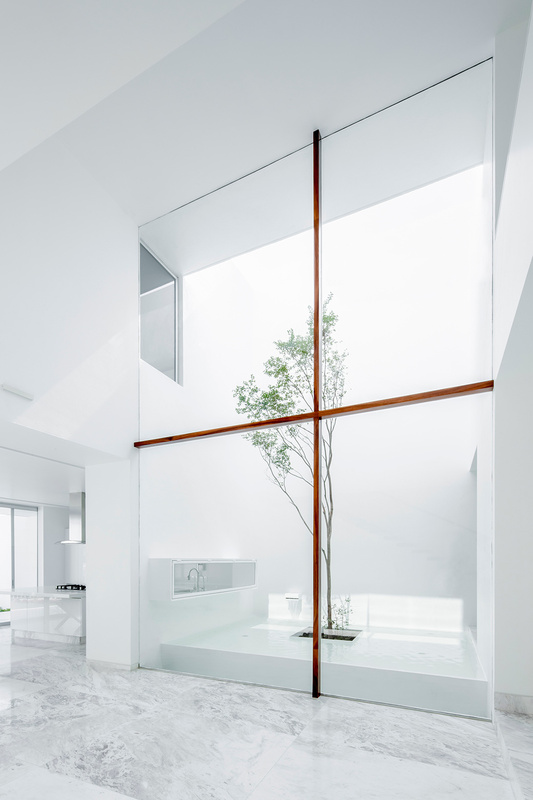 A large window frames the horizon, but preserving privacy due to the change in ground level. 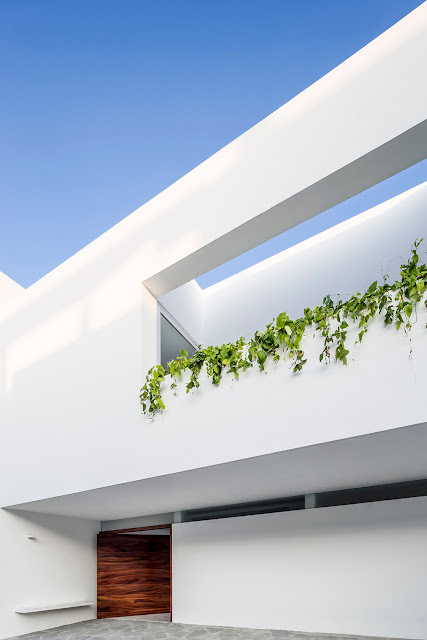 In the middle of the field, a patio, which will become the heart of the house, articulates public and private areas, providing lighting and ventilation. 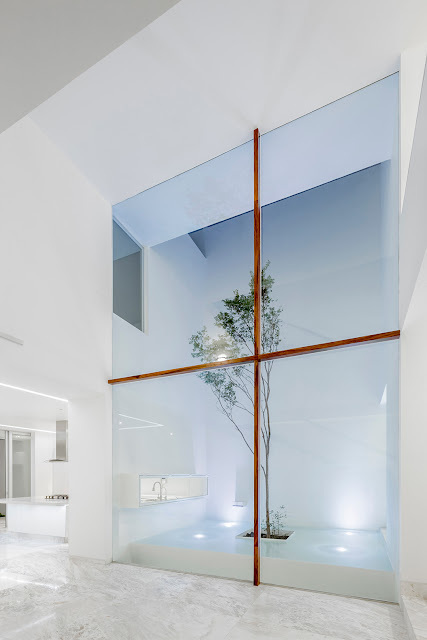 In the patio there is a body of water with a tree, which captures light from the south, through a kind of chimney that blends the light. A wooden cross reminiscent Barragan, seems to float in space, framing the patio. 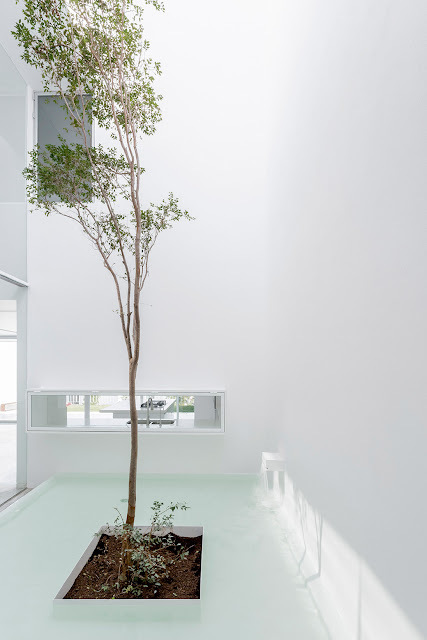 Water, tree and light, fill the space with an aura of serenity.